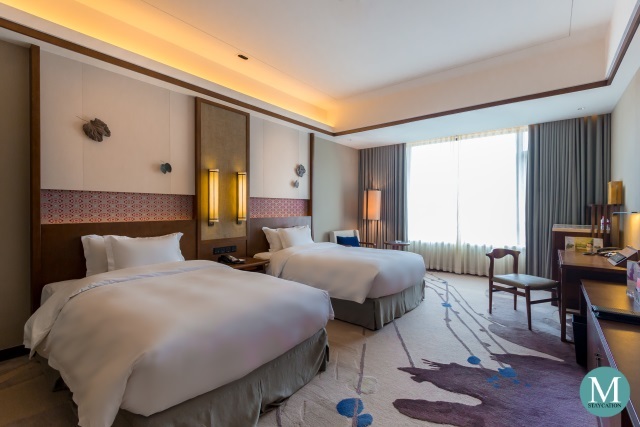 The Superior Room is the lead-in room category of Crowne Plaza Zhangjiajie Wulingyuan (Hunan Province, China). This property caters primarily to tourists, making this 38 square meters guestroom ideal for small families, groups of friends and tour groups on twin or triple room sharing. The room is also furnished with a sofa chair and coffee table. There's a minibar cabinet which houses a mini-refrigerator as well as a coffee & tea making facility. A work table serves as a charging station for your travel gadgets or as an actual workspace in case you need to catch up with work while on vacation. 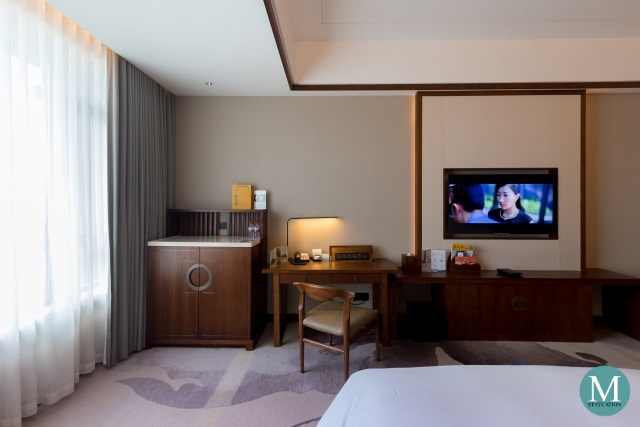 The room is equipped with a 50 inch LED television with local and international cable channels. Hi-speed wifi internet is available inside the room as well as in all common areas of the hotel. There is plenty of power outlets around the room, all with universal sockets so you don't need to worry about the compatibility of your power plugs. 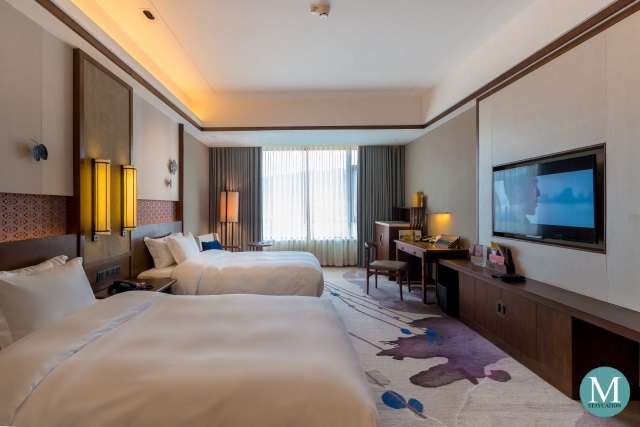 Being an IHG managed property, guests staying in a Superior Room are guaranteed to have an excellent sleep experience through its comfortable beds fitted with plush mattresses, toppers, duvets and pillows. Sheets are made of high thread-count cotton that is smooth and gentle to the skin. Next to the door is the open shelf wardrobe with a luggage rack and enough hanging space for clothes. Wooden and satin padded hangers are provided. 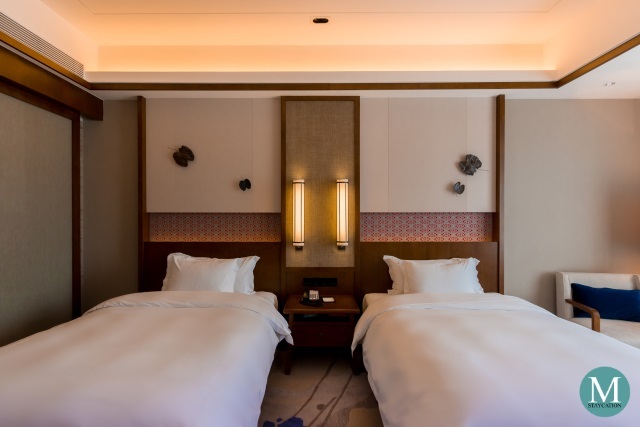 There are also two pairs of bathrobes and room slippers stored in the wardrobe. 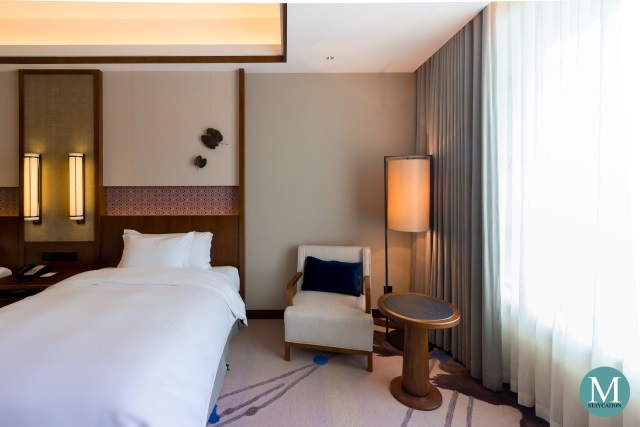 Each room is also provided with an iron and ironing board. An electronic safe can serve as storage for personal items. 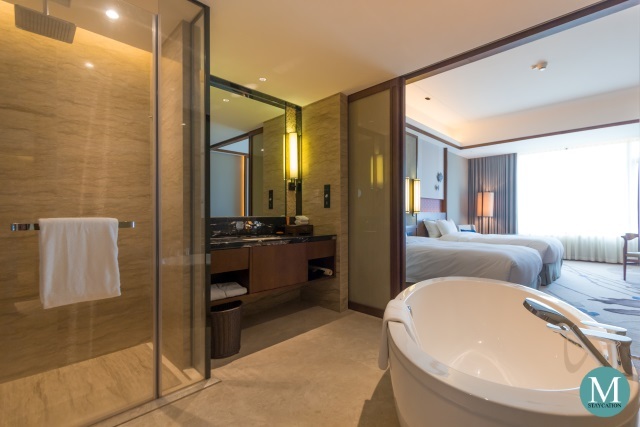 The Superior Room also has a spacious bathroom with a separate bathtub and walk-in shower. There's also a single vanity and a separate water closet. 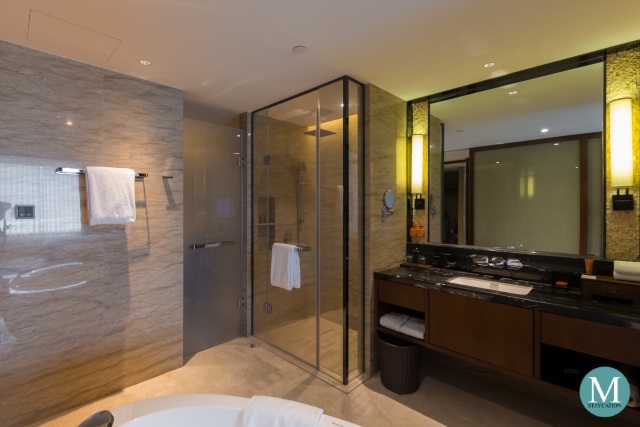 Two sets of sliding doors serve as the division of the bathroom from the main bedroom. The walk-in shower is fitted with a handheld showerhead and a rainfall showerhead. There's enough space to place your personal toiletries. Water pressure was consistently strong at any time of the day. It only takes a few seconds for hot water to flow from the shower and faucet. 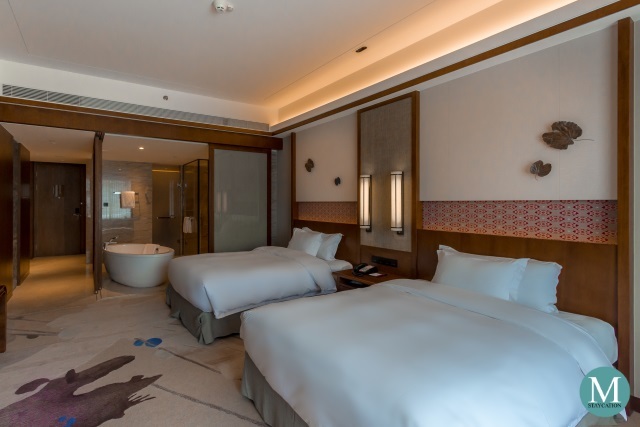 Guests staying in a Superior Room are provided with body and bath amenities by Borghese, a New York-based maker of Italian skincare and cosmetic products. The complete set includes a gentle purifying soap, a nutri-conditioning shampoo, a nutri-repairing conditioner, a fresh soothing body wash and a deep hydrating emulsion. 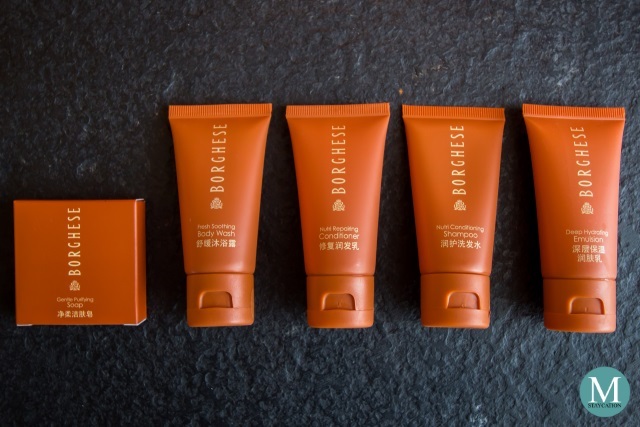 Borghese is the standard toiletries brand provided to guests by most Crowne Plaza properties in China.